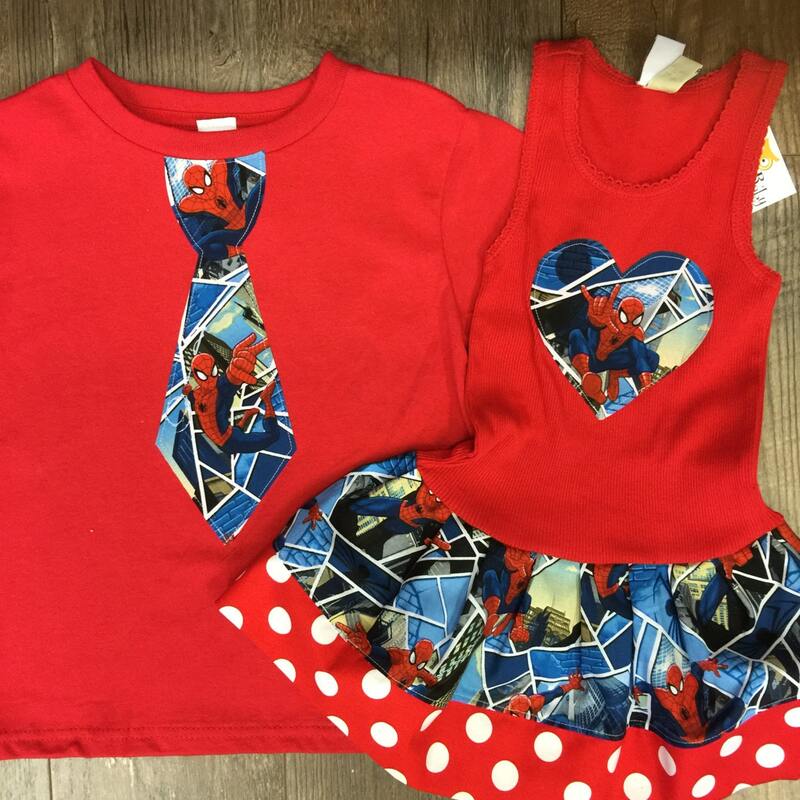 Spiderman Dress AND Spiderman Birthday Shirt. Sibling Set. THIS IS FOR THE SET SHOWN IN PICTURE 1. 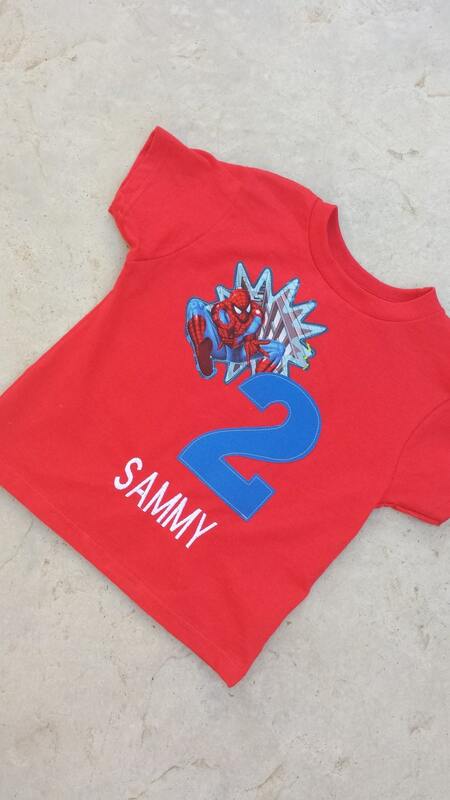 The listing includes I dress and 1 boys birthday shirt that includes number, spiderman, and name. 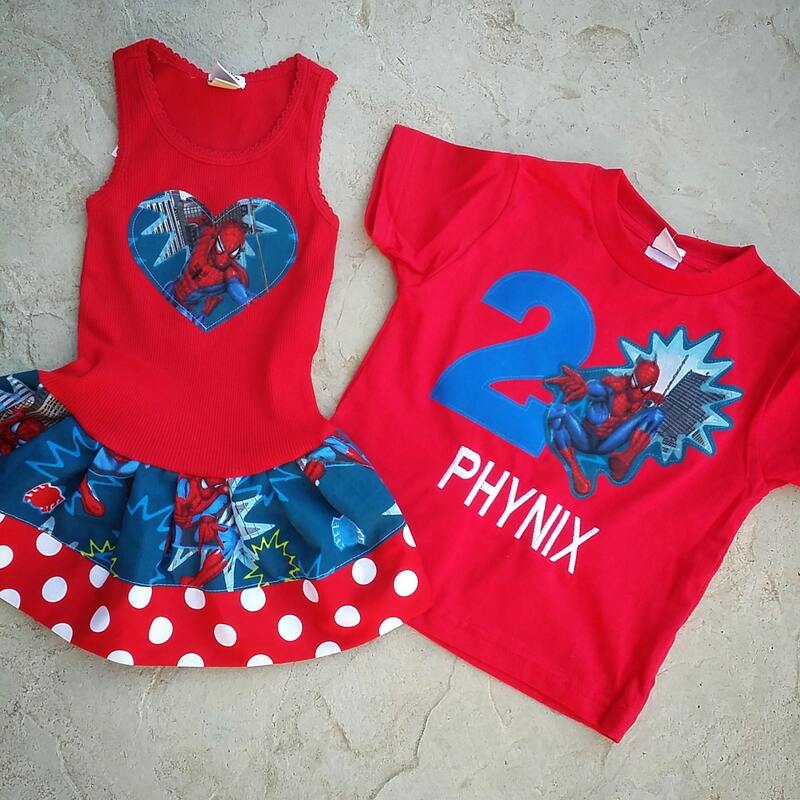 The brother / sister matching dress and T-shirt for my son’s birthday were adorable! The quality is excellent and the sizing was perfect. I had requested a rush delivery, and the seller was able to accommodate me. I would definitely order from this shop again! Dress was great! Shirt was not made to the standards of the example. And I understand handmade products are made differently. Pictured shirt has the spiderman cut out closely to the starburst and overlapping the number. Mine was not closely cut nor overlapping. It resembled a ten verses a one with a spiderman. Contacted seller who did give the option to send back or partial refund.